As looking for a short break holiday, our final decision was to Pulau Tioman Island, Pahang for 3 Days 2 Nights. It was not my first time to Pulau Tioman but it was my first time to eastern side of Tioman (Kampung Juara). 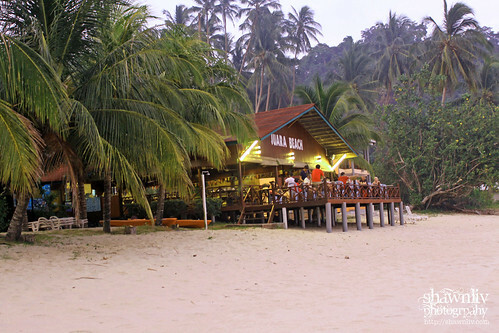 In brief, Tioman island is a small island in the state of Pahang with the main residential areas being along the coast and the center being mostly jungle. According to Wikipedia, the legend says that a dragon princess was flying from China to Singapore to visit her prince. While she was flying over the South China Sea she stopped to take a swim in the crystal-clear waters. After all, she decided to discontinue her journey. By taking the form of an island, she pledged to offer shelter and comfort to passing travelers. From my home, we took about one and half hour to Tanjung Gemok Jetty by car. We reached Tanjong Gemok Jetty at 10:30 am and leave the vehicle at the Plaza R&R. (only RM18 for 3 days 2 night). FYI, the Mersing Jetty is located next to the Plaza R&R. After that, we met our local agents and collecting all the necessary documents (we bought a local package through FB). The Standard fare is RM 35 adult and RM 30 for child. In addition, we have to be paid Marine Park conservation and Taman Laut Sultan Iskandar as shown below. Due to an unknown reason, the trip to Tioman was supposed to leave Jetty stop at 11:30 am, but we did not leave until 1.00 pm. From Mersing we took a one and half hour ferry ride to Genting, the first stop on the ferry ride, then Paya and then to the main ferry terminal at Tekek. The Juara Beach representative was waiting for us and drives us to our final destination, Kampung Juara. The journey to Juara requires a drive ride over the mountain. It took us up a very steep and winding concrete road like path. The journey is about 7 km and takes about 30 minutes to Juara. In brief, Juara is a quiet beach at the east coast. 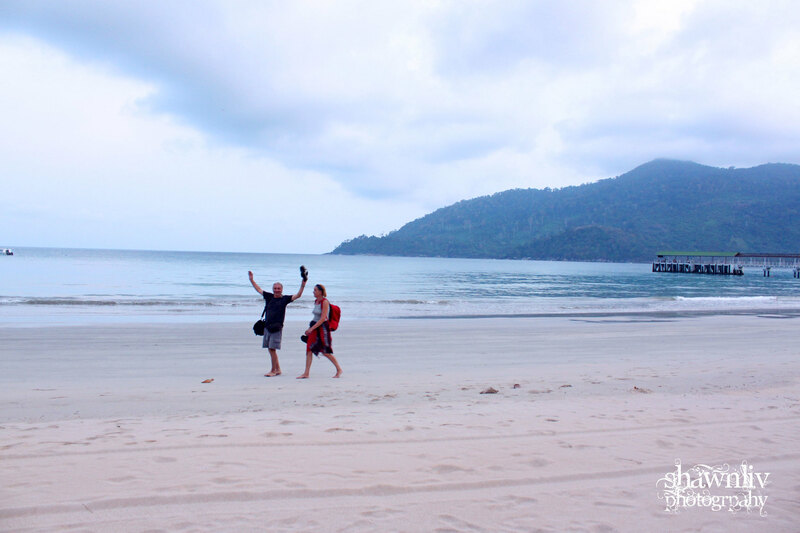 Deemed the best beach in Tioman, this beautiful golden sand beach, which also comes with a small hill nearby, and a lagoon on the southern part of the beach. First, the driver needs to manually pump petrol into car. RM3.3 per bottle (top left pic). Drive ride over the mountain. Consequently, lunch immediately as we were very hungry. The room has a simple layout. I think it can easily fit 3 people here. There is 1 queen bed and a single bed. The toilet is clean and simple. The water heater is working fine. However, mini fridge and TV are not available for normal standard room. Overall, it is a fair resort. After check-in, hit the beach. In my own opinion, Juara Beach is one of the nicest parts of Tioman Island. The beach is deserted, and the only sound is that of waves lapping on the shore. It is truly beautiful and surrounded by jungle. Last, relax with tax-free beer at the end of my day 1.